Each year since 1960, the U.S. 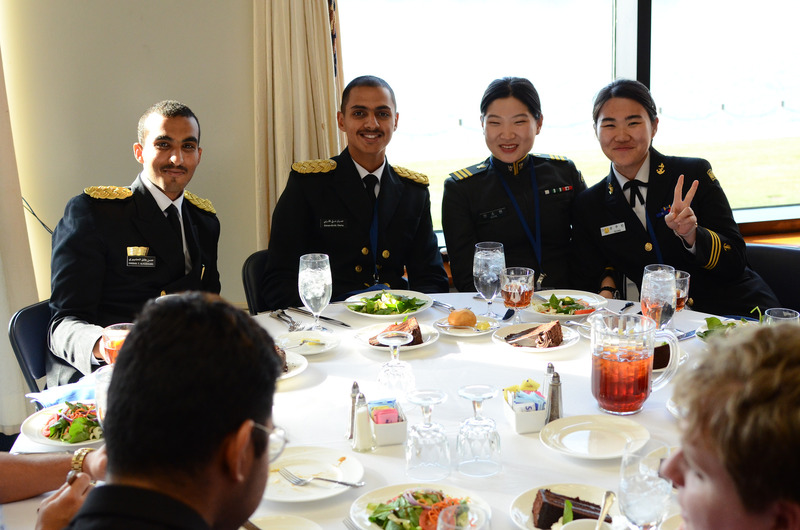 Naval Academy has hosted a gathering of undergraduates from around the United States and the world who come together in the spring to discuss a theme from current global affairs. 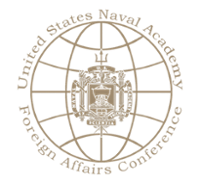 The Naval Academy Foreign Affairs Conference (NAFAC) has grown to be the leading undergraduate conference in the country. It has welcomed delegates from thirty countries in each of the last five years and it has heard speakers as notable as President George Bush and Secretary of Defense Robert Gates. This conference provides an outstanding opportunity for the Midshipmen to come to understand the global forces that may project them into duty in Afghanistan, the Middle East, Korea, North Africa or Latin America. Good officers need a sophisticated understanding of current affairs; this conference puts them together for a week with their civilian counterparts as well as with young officers and civilian delegates from about two dozen countries for conversations in which they can develop that understanding. 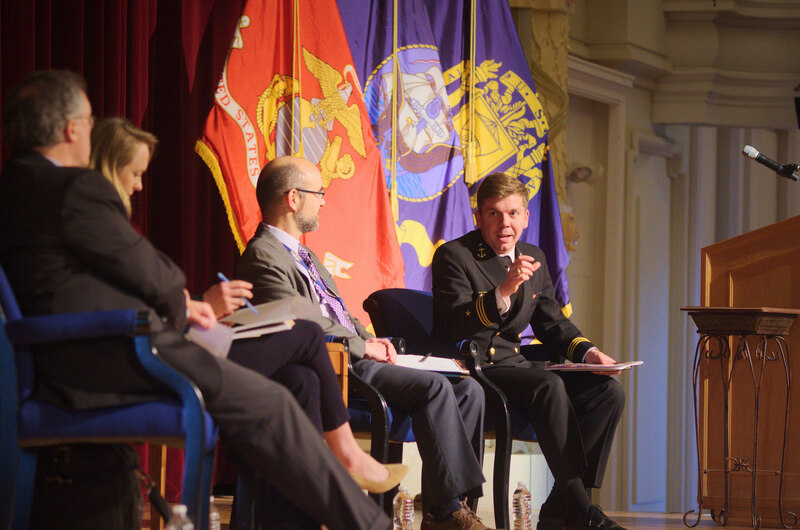 The Naval Academy Foreign Affairs Conference has grown in reputation but not in size. It is kept small – no more than one hundred fifty delegates–in order that the discussion groups which are at the heart of the conference retain a good seminar atmosphere. 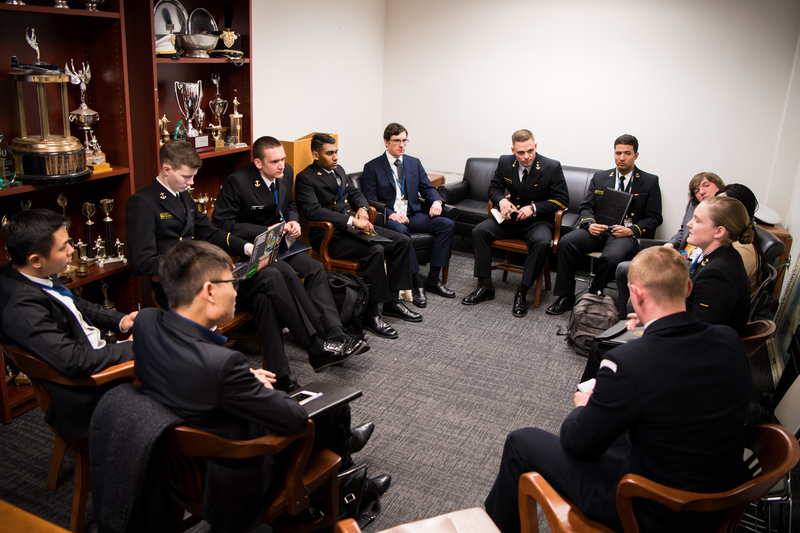 These round table discussions include ten university delegates, two or three foreign delegates, two Midshipmen delegates, a Midshipman moderator and two senior advisors. NAFAC also offers an excellent occasion for the Midshipmen to show off the Academy and the Navy at its best. Each year they produce an impressive event, handling without a visible hitch the many logistical difficulties of transporting, housing, feeding and entertaining scores of guests, some of them of flag rank or international reputation. As one former Midshipman director said. 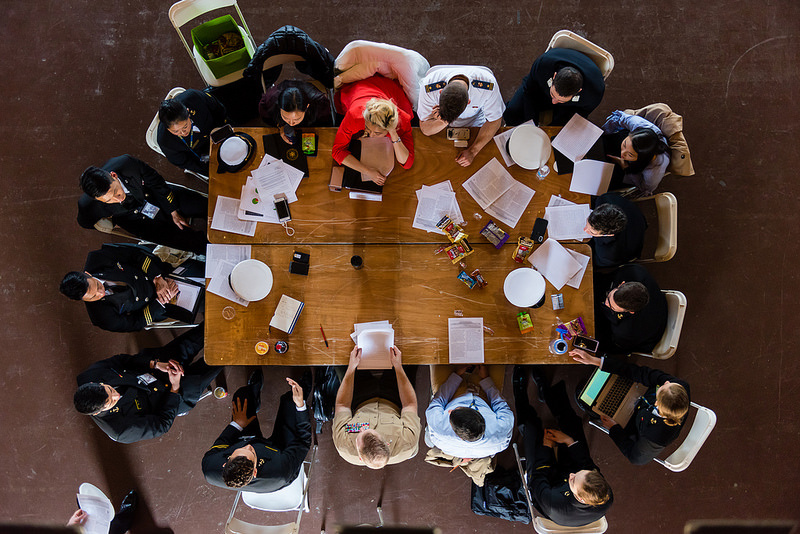 “The Naval Academy aims to provide a laboratory where we can learn and practice the skills of leadership. Putting on this conference was the toughest leadership and logistical exercise I have faced here yet.